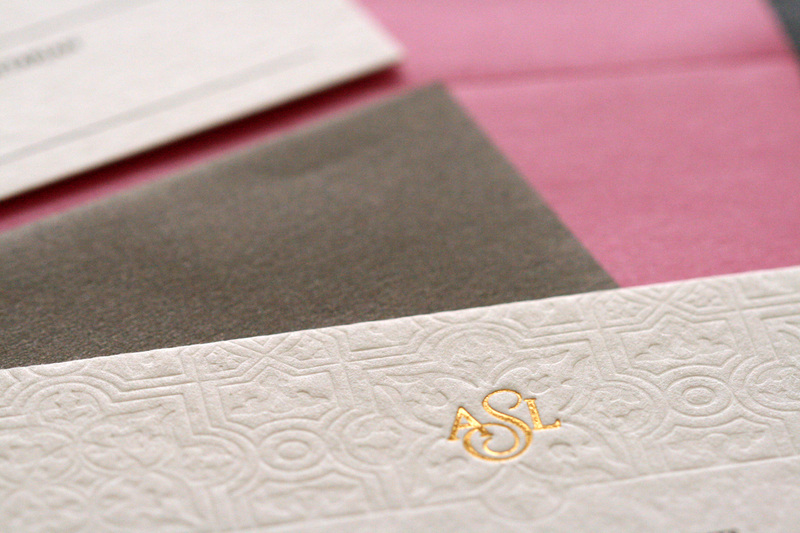 Square Letterpress Spanish tile inspired with custom gold foil monogram. Printed on 4-ply (850GSM) cotton paper. 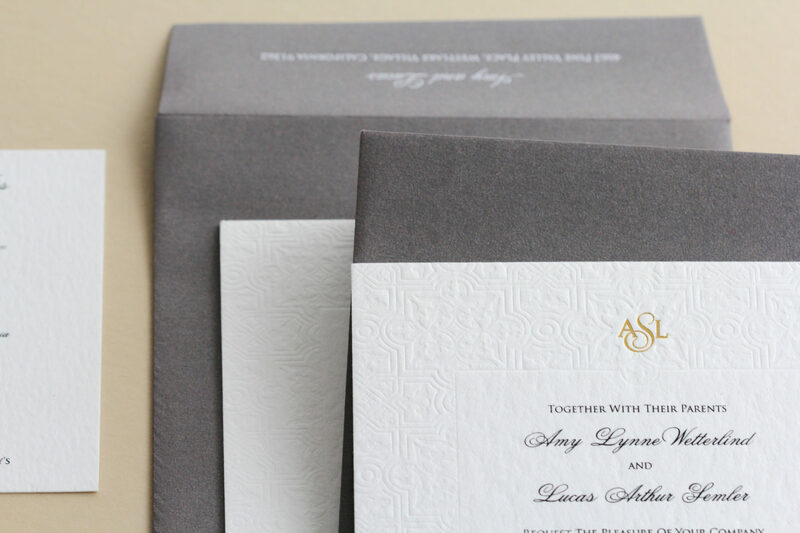 Paired with shimmer pink and gray envelopes. 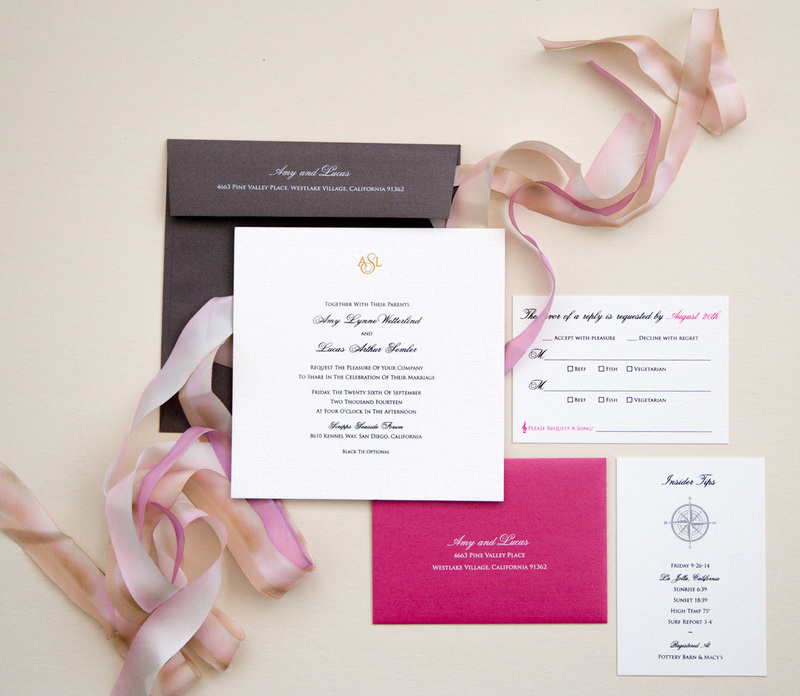 Originally created for Amy & Lucas’s gorgeous seaside wedding at Scripps Seaside Forum in San Diego. 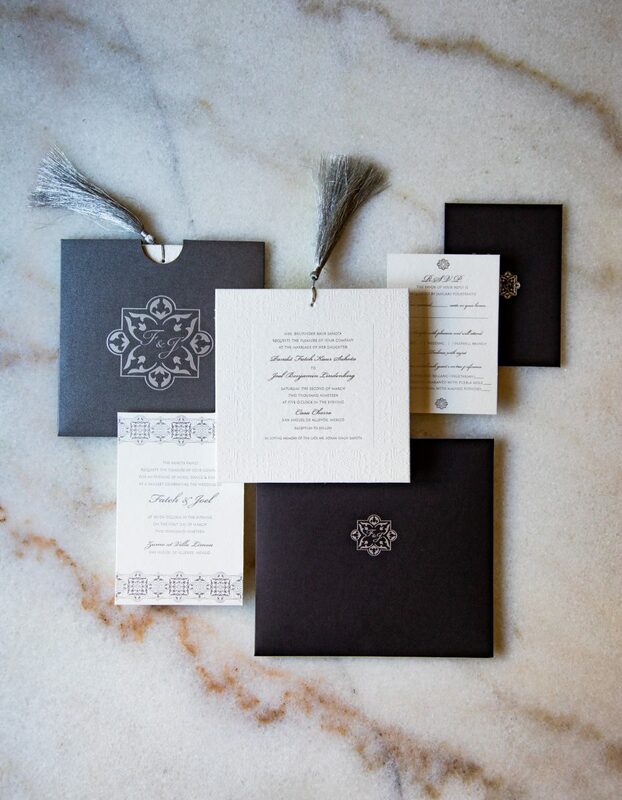 Amy was a weddings catering manager for the Four Seasons Hotel Westlake Village.